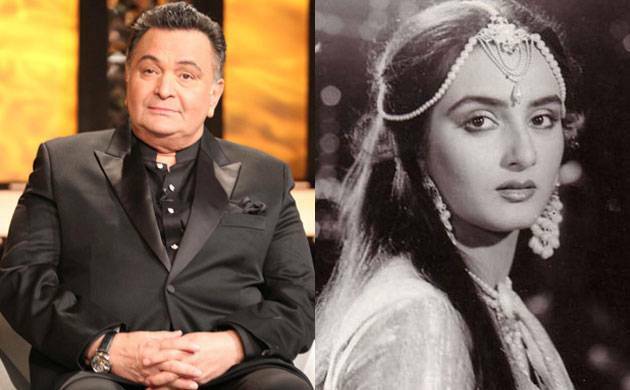 Rishi Kapoor has shared the screen space with Farah Naaz in several movies including Naqab, Naseeb Apna Apna and Ghar Ghar Ki Kahani. Rishi Kapoor, who is known for not mincing his words, has once again made it to the headlines for his sly comment on Tabu's elder sister Farah Naaz. The veteran actor has referred to Farah as unprofessional during her journey in Bollywood. Rishi made this statement on micro-blogging site Twitter along with Farah's picture saying that the diva would have been a big star if was professional in her behaviour. He wrote, "One of the prettiest heroines and a wonderful actor Farah Naaz,elder sister of Tabbu. Eccentric,would have been big if she was professional". For the uninitiated, Rishi and Farah have shared the screen space in several movies including Naqab, Naseeb Apna Apna and Ghar Ghar Ki Kahani. She was last seen Shahid Kapoor starrer 'Shikhar' in 2005. Interestingly, this is not the first time that Chintu has made such outlandish remarks over a celebrity. Earlier, he had even targeted mergastar Amitabh Bachchan in his book 'Khullam Khulla' saying, "Amitabh has never given due credit to the actors who have worked with him. He has always credited his writers and directors, Salim-Javed, Manmohan Desai, Prakash Mehra, Yash Chopra and Ramesh Sippy. But it is also true that his co-stars had an undeniable role in his success."